In exchange for 20 000 points, you can claim a 25 SAR Menakart e-voucher. Menakart.com is the latest Online Shopping Website in Middle East. Menakart.com provides all electronic products including Laptops, Cameras, Mobiles, Tablets, Fashion, Watches, Games, Books & Toys. All Mobiles, Cameras,Tablets & Laptops. 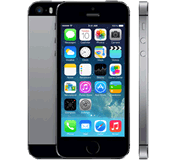 Phones comes with one year warranty and Cash on Delivery payment option in UAE. Wide range of Toys and Books are available online at Menakart. Toy brands including Barbie, Hello Kitty, Lego, Funskool, Fisher-Price and latest Books from leading Authors are available at huge discounts. Please note that the delivery can take up to 2-8 weeks. Your e-voucher will be available and visible directly on the following page: vouchers page . In exchange for 36 000 points, you can claim a 10 USD iTunes e-voucher. iTunes Gift Cards are easy to give, and you can buy them from Apple and from thousands of other retailers in a range of denominations. And every card works in the iTunes Store, App Store, iBooks Store, and Mac App Store, or toward an Apple Music membership — so your recipients can get exactly what they want. Give songs, apps, and more. From your computer, click the arrow next to the price and choose “Gift this.” Or from your iOS device, tap the share button at the top of the screen.2 We’ll send an email letting your recipients know about it. With one click, your gift will start downloading to their device. Please note that the delivery can take up to 2-8 weeks. Your e-voucher will be available and visible directly on the following page: vouchers page. In exchange for 40 000 points, you can claim a 50 SAR Mumzworld e-voucher. Mumzworld is the region’s first and largest shopping site for everything Mother, Baby and Child in the Middle East. Mumzworld are the one-stop shop for all your parenting needs, as they know that parents want to find the best products available in the least possible time, which is why Mumzworld offers a comprehensive product catalog of thousands of items from hundreds of brands all under one roof. 1.This eGift Card is redeemable only on mumzworld.com. It is not redeemable for any merchandise on sale. 2.This eGift Card is only valid for a one time purchase to the full value unless otherwise specified. 3.YouGotaGift.com does not accept cashbacks, refunds or returns. In exchange for 40 000 points, you can claim a 50 SAR Wojooh e-voucher. What woman could turn down some new makeup or a fresh scent? We think none! Spoil yourself with an eGift Card from Wojooh, the Middle East's leading beauty retailer. With the latest in makeup, fragrance, skin care and hair, Wojooh has everything to fulfill your needs. 1.This eGift Card is redeemable in any Wojooh shops across the Saudi Arabia. In exchange for 40 000 points, you can claim a 50 SAR Top up mobile code. How to add credit to your balance to send a top up? Please note that the delivery of your payment can take from 2 up to 8 weeks. Please make sure your postal address is correct before validation of your order.